Lamborghini has unveiled today the first details on the new Gallardo GT3 FL2 racecar that is set to be used in the 2013 and 2014 seasons. The model is based on the 2013-model-year Gallardo and has been developed in cooperation with Reiter Engineering. The first details offered by Lamborghini reveal that the new GT3 FL2 will receive "24-hour" brakes, improved engine cooling and reduced fuel consumption. Because we are talking about a racecar, we will also see a highly efficient aero kit, including a new front splitter and a rear carbon diffuser based on the one developed for the Super Trofeo. 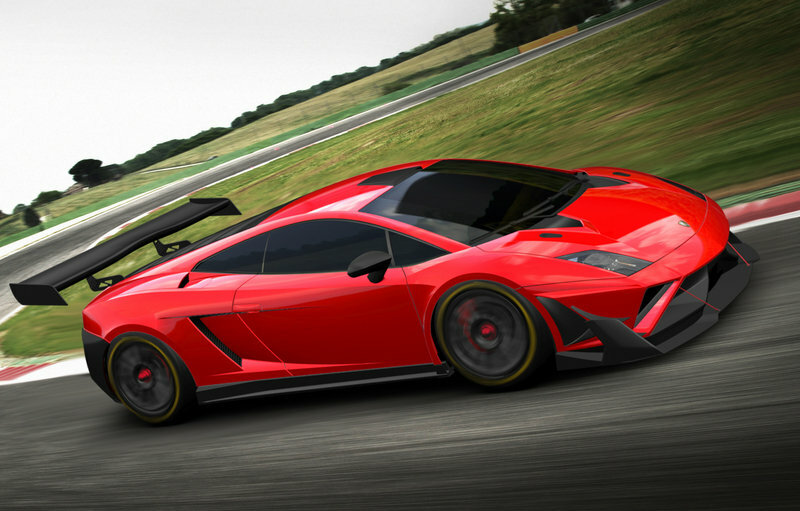 Also, when compared to the Gallardo GT3, the new FL2 version will be about 55 pounds lighter. So, is this Lambo prepared to take over where the outgoing Gallardo GT3 leaves off, or will it be buried amongst the Porsche and Ferrari racecars? On the outside, the Gallardo GT3 FL2 retains a lot of the base Gallardo’s styling. Without all of the specifics, however, we can only speculate on exactly what it will feature. We expect to see an aggressive aero kit on the underside, starting with the front-lip spoiler, wrapping around the side and engine in a massive diffuser on the rear end. One item that we do know will be a part of the GT3 FL2 is a monstrous rear spoiler that looks more like it belongs on a riced-out, base-model Civic. Fortunately, this spoiler does a lot more than just add ridiculous amounts of weight, as it likely creates a massive amount of downforce. On the corners, we expect to see carbon-fiber wheels to help keep the unsprung weight as low as possible, thus enhancing its competence in the twist. Lastly, we expect the glass to all be replaced by a plastic-based glass, which will help save a little weight. While we have yet to learn the exact dimensions of the Gallardo GT3 FL2, we do know that it’ll be 25 kg (55 pounds) lighter than the previous model. We also can safely assume that it’ll carry over all of the production-Gallardo’s basic dimensions, meaning it measures 171.1 inches long, 74.8 inches wide, 45.9 inches high and has a 100.8-inch wheelbase. The inside is really a wildcard at this point, as Lambo hasn’t revealed anything on it. We figure that the GT3 FL2 will come with bare-minimum FIA-approved equipment. 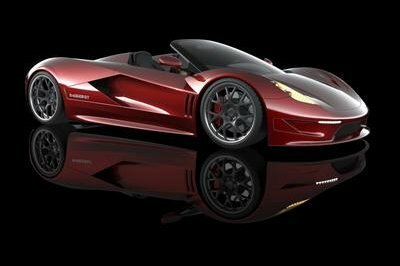 Things like a racing seat, high-end racing harness, racing steering wheel and a massive deletion of the Gallardo’s production features – A/C, audio, dashboard and much more – will all be a part of the package. Now for the really fun part: the engine and driveline. Lamborghini again skimped out on the details regarding what’s under the hood, but we do know that the engine will feature an improved cooling system to help keep it from overheating and reduced fuel consumption. As for actual power, we are just going to have to make some educated guesses. The outgoing Gallardo GT3 had the same output as the bone stock model – 512 horsepower and 397 pound-feet of torque – so it is easy to assume that this pattern will carry into the 2013 racing season. Since the 2013 Gallardo has a bit more power, 38 horsepower more to be exact, we can expect the GTE FL2 to have the same. In restricted racing, like the GT3 FL2 will race, the name of the game is using the power as effectively as possible, which translates to minimizing the inertial friction inside the engine – basically making it a more free-revving engine. This is achieved by upgrading the bearings, lightening the crankshaft, connecting rods and pistons, and adding in a lighter flywheel. Just like its predecessor, we expect the 2013 Gallardo GT3 FL2 to carry an all-wheel-drive setup. The power and lightening should all add up to a 3-second 0-to-60 time and a top speed of about 185 mph, but these are not official numbers. When racing, you also have to consider the amount of maintenance that will need to go into the car after each race. Per Lamborghini, the Gallardo GT3 FL2 requires only €9 to €12 per km ($19.65 to $26.20 per mile) in maintenance. So, if you were in a 500-mile-long race, you could expect a bill of $9,825 to $13,100 for the maintenance required – yeah, racing’s expensive. Lamborghini has set the base price for the 2013 Gallardo GT3 FL2 at €320,000 plus taxes (around $430,000 at the current exchange rates). 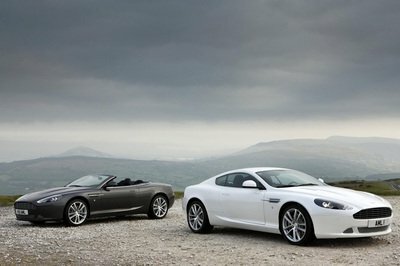 First deliveries to teams in Europe and Asia will commence in March 2013. The model will make appearances in the Blancpain Endurance Series, Asia Le Mans Series and Italian GT3 Championship. In terms of competition, it is really hard to pinpoint any certain one, as these manufacturers are not too specific with what classes each car can compete in. You get to learn those details when you actually go to buy the racecar. 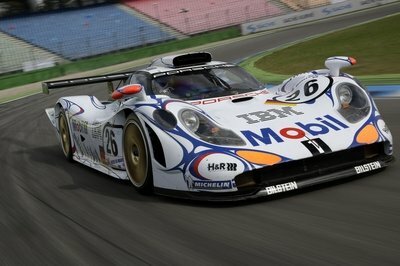 In the interest of entertainment, we will consider the upcoming 2013 Porsche 911 GT3 RSR as a close competitor. 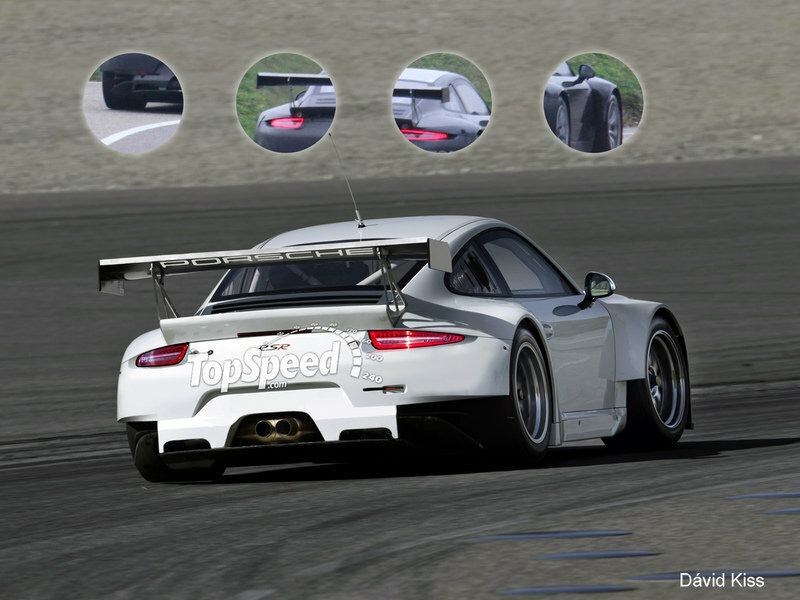 We expect to see somewhere in the range of 480 horsepower from the 4.0-liter six-cylinder in the GT3 RSR’s engine compartment, unless Porsche decides to make some changes for the 2013 model year. From there, the rest of the details are super sketchy, so we will have to revisit this competition once the official details on the 2013 Porsche 91 GT3 RSR hit the wire. We can say with some certainty that it will price in at about €500,000 (about $678,000 at the current rates). Well, what’s there not to love about this? It’s a Gallardo tuned for racing! It’s leaner, meaner and more athletic than the base model, plus it even has significant weight savings over the outgoing Gallardo GT3. On paper, we absolutely love it, despite the fact that the Gallardo’s aging body style is really dated. A The Gallardo rocks our socks, so we bet this is just as good! Automobili Lamborghini has announced a new GT3 motorsport program. The long-term agreement will commence with a new car for the 2013 and 2014 seasons: the Lamborghini Gallardo GT3 FL2, developed by Reiter Engineering in cooperation with Lamborghini’s R&D motorsport department. Based on the new Gallardo MY13, a focus of the new GT3 FL2’s development is on long-distance performance and includes ‘24-hour’ brakes, improved engine cooling and reduced fuel consumption. The car features a highly efficient aero kit, a new front splitter, a rear carbon diffuser based on that developed for the Super Trofeo and an overall improved power to weight performance, with the GT3 FL2’s weight reduced by 25kg over the previous Gallardo GT3. The GT3 FL2 is priced at € 320,000 euro plus taxes. Although German-based Reiter Engineering has successfully developed its own Lamborghini GT cars since 2000, securing 199 victories and 350 podium positions within GT championships since 2007, this is the first time a G3 contender will be co-developed in direct collaboration with Lamborghini. An expanded in-house motorsport team within Lamborghini’s R&D department will oversee the GT3 race programme, under the guise of Lamborghini Squadra Corse: a department dedicated to motorsport including GT3, the Lamborghini Blancpain Super Trofeo series, and a customer driving program. From 2013, the Squadra Corse will provide an integrated approach to Lamborghini driving experiences. A new series of ‘Esperienza’ events provide enthusiasts and prospects with opportunity for a first test-drive and to experience the world of Lamborghini. The Lamborghini Academies, on both track and ice, provide driver training and the initial steps towards racing. The Lamborghini Blancpain Super Trofeo series provides the perfect first race experience for young and gentleman drivers, with the Lamborghini GT3 for more experienced racers wanting to compete with the Lamborghini marque worldwide. The 2013 Lamborghini Gallardo GT3 FL2 looks very nice. 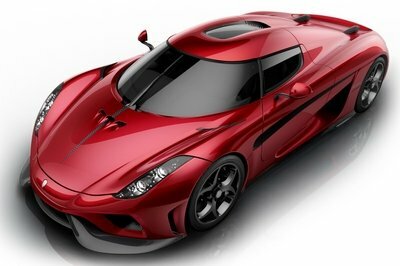 I like the color because it looks the car more stunning. I hope that there are many upgrades to this car.